"Whether one believes in religion or not, whether one believes in this religion or that religion, the very purpose of our life is happiness, the very motion of our life is towards happiness." --H.H. 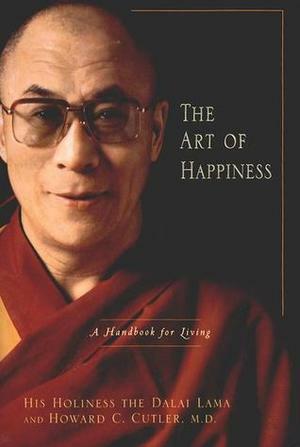 the Dalai Lama, from The Art of Happiness So popular and so rarely understood, this Nobel Peace Prize winner and man of great inner peace brings to a general audience the key to a happy life. In collaboration with a Western psychiatrist, The Art of Happiness is the first inspirational book for a general audience by the Dalai Lama. Through meditations, stories, and the meeting of Buddhism and psychology, the Dalai Lama shows us how to defeat day-to-day depression, anxiety, anger, jealousy, or just an ordinary bad mood. He discusses relationships, health, family, and work to show us how to ride through life's obstacles on a deep and abiding source of inner peace. Based on 2,500 years of Buddhist meditations mixed with a healthy dose of common sense, The Art of Happiness crosses the boundaries of all traditions to help readers with the difficulties common to all human beings. It was a book of pleasures. It helped a lot with my process of mind and satisfied my extremely powerful sense of skepticism. Dalai Lama XIV earned my respect, even though I hardly gave it to anyone to this day. It is highly compatible with modern findings of psychology, specially in the realm of CBT. I highly recommend it to anyone... ever!